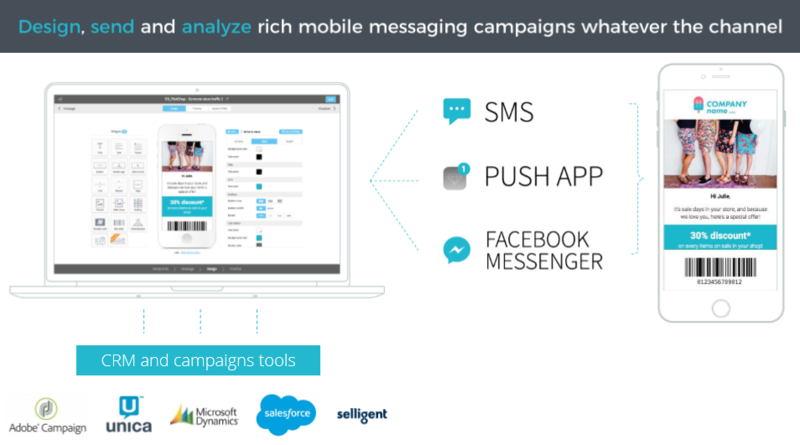 myElefant is the leading platform for Rich mobile messaging (SMS/RichSMS, Push/RichPush, Facebook Messenger Push, ChatBots). 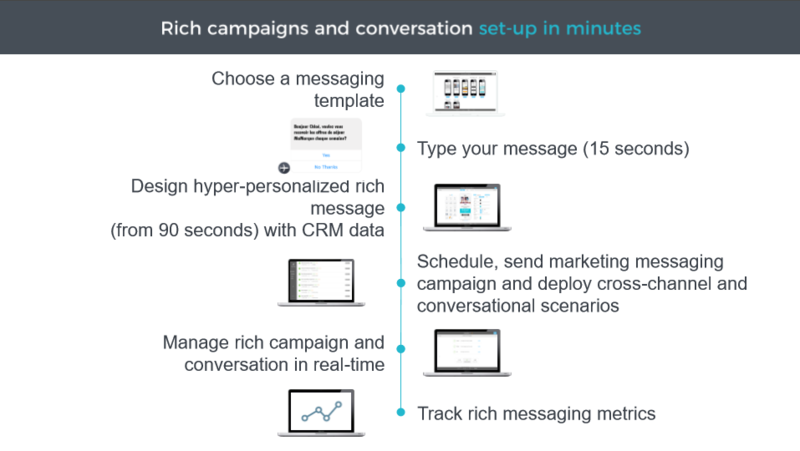 It allows CRM teams to manage hyper-personalized (mobile content), to distribute them through all mobile messaging channels (SMS, Push, Messaging apps) and to analyze customer behavior in real time. myElefant’s team is entirely dedicated to the success of our client’s mobile messaging strategy. We provide our platform, our technical experts and our marketing consultant to maximize our client’s ROI and optimize their mobile messaging budgets.